All youth, ages 8 and in 3rd grade through 13 (as of 1/1/19), are invited to attend Franklin County 4-H Camp. Campers will have fun meeting other youth while participating in a variety of camp activities like canoeing, disc golf, bottle rockets, creeking, nature exploration, swimming, hiking, team challenges, high ropes, a climbing wall, campfires, crafts, geo-cache treasure hunting, and so much more! Through designated funds from the Franklin County 4-H Council, several partial camperships are available for youth to attend Franklin County 4-H Camp. 4-H members from low socio-economic homes, one parent families, and large families with multiple children wishing to attend camp are given priority consideration in the selection process. If you are interested in applying for one of these camperships to attend Franklin County 4-H Camp at a reduced cost, fill out this application form and return it to the Extension Office by April 5. Forms may also be emailed to boomershine.10@osu.edu. The cost for attending 4-H Camp will be $200.00 (plus additional fees for selected optional sessions) for the five days and four nights, June 17-21. 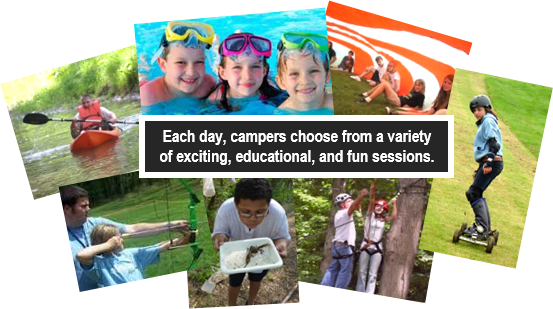 The amount of camperships vary depending on need, funds available, and number of requests. Camp registrations are due May 15. If awarded camperships go unused for the current year, you will forfeit your campership. Information shared on this form is kept confidential. Campers will stay in one of 18 rustic cabins with 10-15 campers and at least two camp counselors. The cabins are only a short distance from up-to-date restrooms with showers and flush toilets. Boys’ and girls’ cabins and restrooms are located at separate ends of camp. are assigned to cabins by age. may request one or two friends as cabin buddies, or a specific camp counselor. A modern kitchen and central dining hall provide family-style meals. A large, open-air lodge and modern Olympic-size swimming pool provide places for a wide variety of recreational activities. Other facilities include the Nature Center, Craft Hall, Camp Store, Log Cabin, Campfire Circle, Inspirational Site, Team Challenge Course, Sports Field, and the Leadership Hall, a 4,800 square foot air conditioned building that can be utilized for many of our programs in the event of extremely hot or rainy weather. Assuring the health and safety of each camper is our first priority. All activities are supervised by trained counselors and/or adult staff. Camp Counselors participate in an extensive application and training process. These caring individuals know how to provide your child with safe, educational, and fun activities throughout their stay at camp. Campers are covered by a supplemental health and safety policy while involved in camp programs. The camp nurse, who is on duty and at camp 24 hours a day, is responsible for distributing all prescription and over the counter drugs. Serious injuries or illness will be handled through Licking Memorial Hospital or Knox Community Hospital. Families registering siblings will receive a $20 discount for each additional camper. There are many Open Sessions that do not require advanced sign-up or a fee. Campers will receive a daily schedule when they arrive at camp that will list a variety of open session choices which will include the following: creeking, canoeing, swimming games, Native American life, archery, zipline, climbing wall/tower, 2-liter bottle rockets, Amish farm visit, pioneer life, geocaching, nature, line dancing, kitchen chemistry, crafts, and much more. Create your own original tie-dyed T-shirt. It’s FREE if they bring their own shirt (or other clothing like a scarf – no underclothing)…just be sure it is washed twice without fabric softener. Or you may also send $5.00 to camp with your child to purchase a white t-shirt in the camp store. Campers will head to the Team Challenge Course and work together mentally and physically to solve challenges. This fun session will give campers a chance to hear a situation and then creatively find a solution together. NO FEE but pre-registration required. Recommended for those 10 years old and older and in good physical condition. After carrying their gear up the hill to one of Camp Ohio’s remote camp sites, campers will enjoy time away from the regular camp activities and participate in outdoor fun without any electricity. After some night games, campers lay out their ground cover, put their sleeping bags on top, and then sleep under the stars. Only the light of the campfire and the brightness of the sky will be their night lights. After waking in the morning, campers will be cooking breakfast over the fire before heading back to the main camp. Campers need to bring a sleeping bag, waterproof ground cloth/tarp and the desire to have an evening of adventure. NO FEE but pre-registration required. Due to high demand, our 4-H members can register early to have the first opportunity at reserving a bunk. The 2019 camper packet will be mailed via USPS to all paid and registered campers by May 24.